As Seen in New York Magazine, Popsugar, Nylon, The Cut, Shape & more. Kana lavender hemp sleeping mask is a multi-purpose sleep mask that combines CBD and innovative skincare from Korea. Organic full spectrum hemp is combined with 28 active botanicals to naturally heal and hydrate skin. The many benefits include skin plumping with hyaluronic acid & a-bisabolol, reduction in scar tissue with lavender oil, alleviation of acne with cannabis sativa, smoothing with phytocannabinoid, and brightening beta-glucan. This mask is calming and perfect as the last step to your nighttime skincare routine. Wake up to beautiful, healthy skin! Lavendula Angustifolia (Lavender oil) is antimicrobial and antibacterial making effective at treating acne and reducing scar tissue. It contains antioxidants that fight free radicals and can help protect against wrinkles and dark spots. The anti-inflammatory properties are used to heal psoriasis and other conditions. a-Bisabolol (viscous oil isolated from German Chamomile) Stimulates and promotes the skin’s healing process and improves the appearance of damaged skin. Hyaluronic Acid: Hyaluronic acid enhances moisture content and revitalizes skin to feel softer, smoother, and, extremely hydrated. It improves the appearance of fine lines and wrinkles and gives skin a plump youthful glow. Cannabis Sativa (Hemp) Seed Extract: Unsaturated fatty acids vitamins E and A are moisturizing and CBD helps with inflammation and acne. Phytocannabinoid (Full spectrum extract derived from industrial hemp): Contains fatty acid, proteins, vitamins, and minerals. 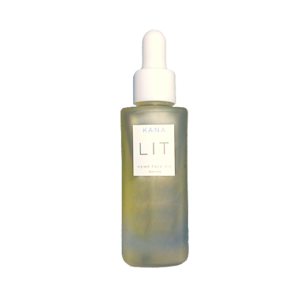 The antioxidant properties deliver soothing anti-aging results to stressed skin. Beta-Glucan: Known for reducing the appearance of wrinkles by boosting collagen. It is an immune booster that significantly reduces skin redness and treats eczema. Recommended Usage: Apply an even layer over face and neck as the last step in your nighttime skincare routine. Allow absorbing overnight 3 times a week. Wash off in the morning. This mask is not meant to be worn in the day. Only use at night and apply SPF in the morning. Purple rice used to be reserved for emperors, but it’s no longer just for royalty! Kana’s antioxidant-rich purple rice hemp sleeping mask can be yours. Purple rice extract promotes hyaluronic acid increases in the structure of the skin which gives the appearance of plumper skin, with increased firmness and a significant improvement in texture. It prevents fine lines and wrinkles as well as maintaining collagen. Star ingredients phytocannabinoid (Full spectrum CBD) hemp reduces inflammation and licorice root extract brightens and smoothes fine lines. All natural soaps and a proud leader in disability fair wage employment, Sammy Soap creates jobs for adults with intellectual disabilities in St. Louis, MO. 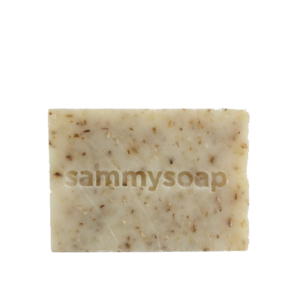 Double mint hemp soothes and refreshes skin while providing moisture to dry skin. Hemp seed oil softens and lubricates skin cells. Appropriate for all skin types even oily and acne prone skin. Saponified food grade oils of rice Oryza sativa, palm Elaeis guinensis, soy Glycine max, and castor bean Ricinus communes, with essential oil of corn mint Mentha arvensis Nepal, ground oat Avena saliva Canada, essential oil of peppermint Mentha piperita India, hemp seed oil Cannabis saliva Canada, and chopped mint Mentha Canadensis Canada. 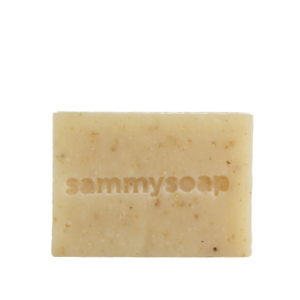 All natural soaps and a proud leader in disability fair wage employment, Sammy Soap creates jobs for adults with intellectual disabilities in St. Louis, MO Sensual, sweet and spicy all at once. Ylang Ylang Frankincense calms the senses. Hemp seed oil softens and lubricates skin cells. Appropriate for all skin types. Ingredients: Saponified food grade oils of rice Oryza sativa, palm Elaesis guineesis, soy Glycine max and castor bean Ricinus communes, with essential oil of orange Citrus sinensis USA, oat Avena saliva Canada, hemp seed oil Cannabis saliva Canada, essential oil of ylang-ylang Cananga odorata Madagascar, hydrangea root Hydrangea arborescens USA, essential oil of frankincense Boswellia carterii Somalia, and rose kaolin clay.